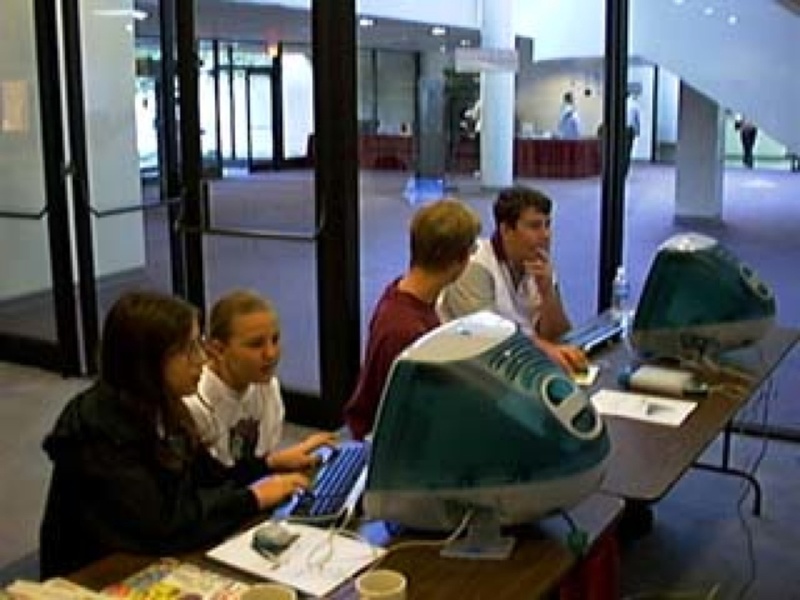 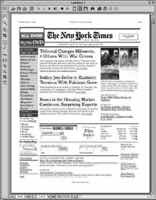 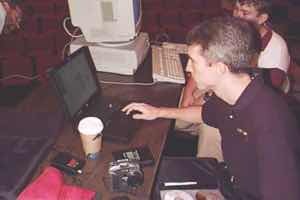 A random collection of photos from the Washington Apple Pi site, with a heavy bias to the era after the advent of color scanners and color digital cameras. 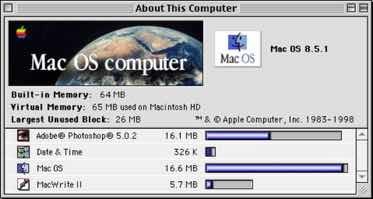 Once upon a time, all the computers in a good sized company had less memory than a single iPhone in your pocket. 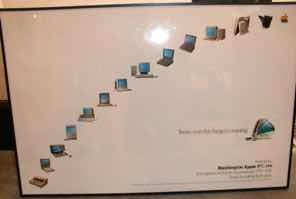 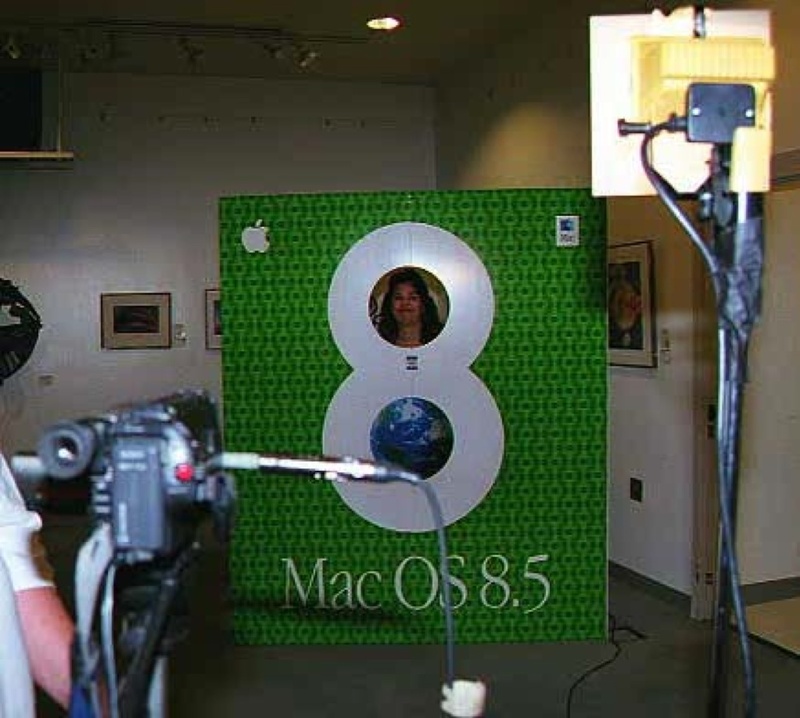 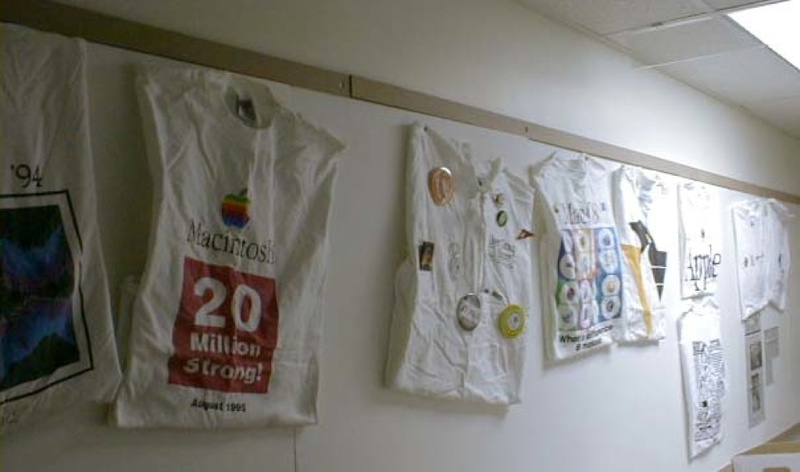 For the Washington Apple Pi 20th anniversary, any member who wished could have their photo taken as part of the logo for a giant boxed set of Mac OS 8.5. 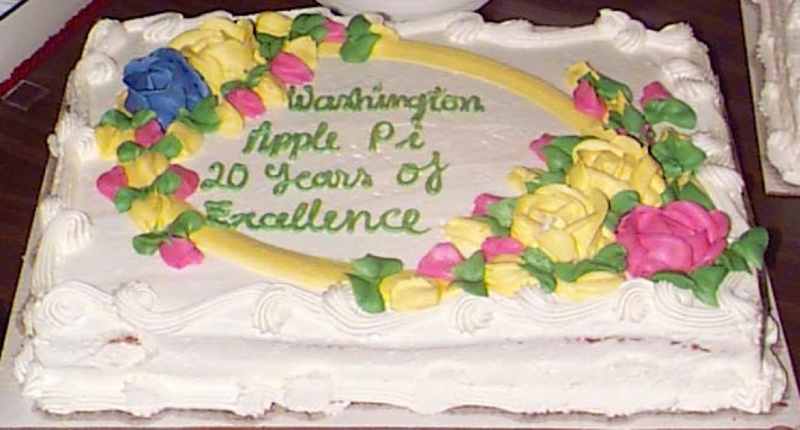 For the Pi's 20th anniversary, several cakes like this made their way into the tummies of visitors. 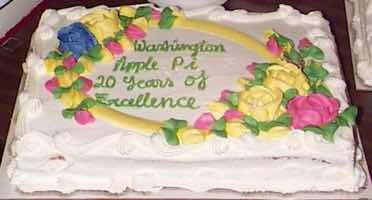 Here we see an early Washington Apple Pi attempt at creating a 24-core supercomputer. 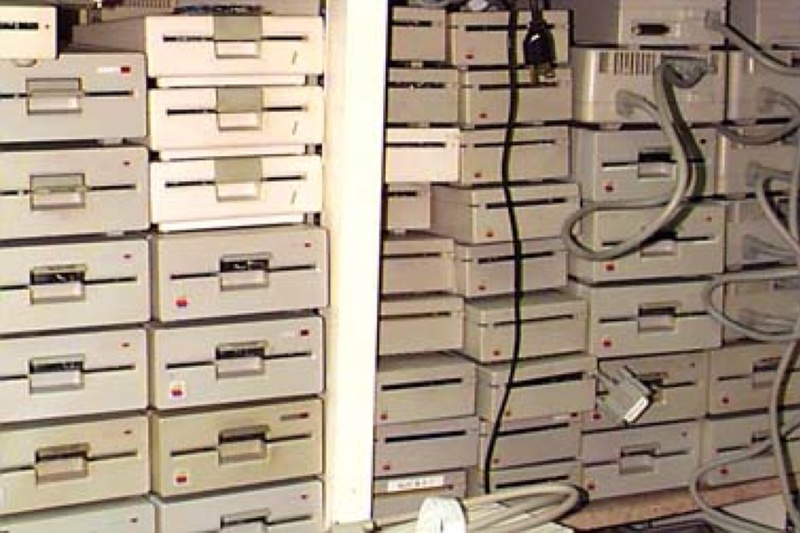 A supercomputer requires super amounts of stories, and these floppy drives provided the kind of bulk storage required for the heavy-duty tasks of computing in the 1980s. 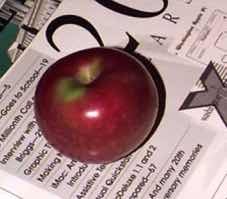 As pretty much every child has been told, the world was in black and white until the late 1930s (look at old films for proof). 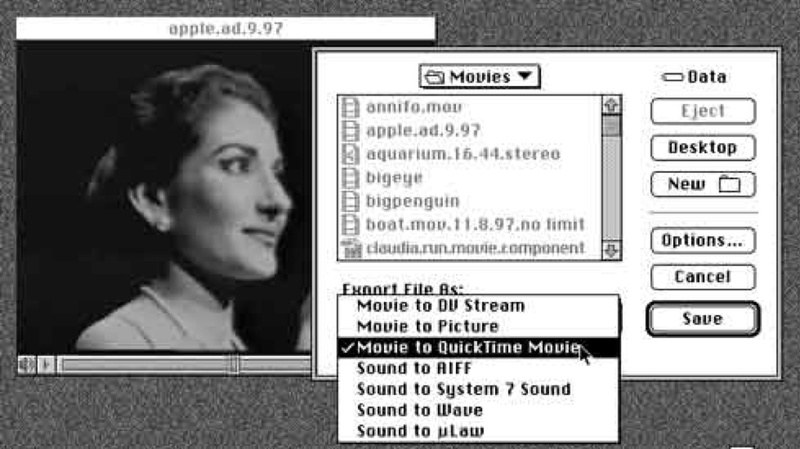 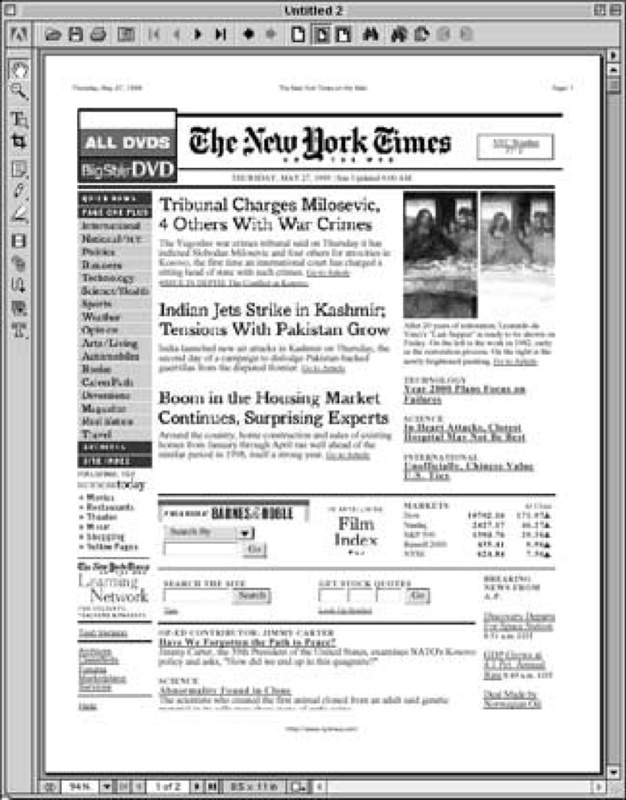 Here we see some early editing with QuickTime. 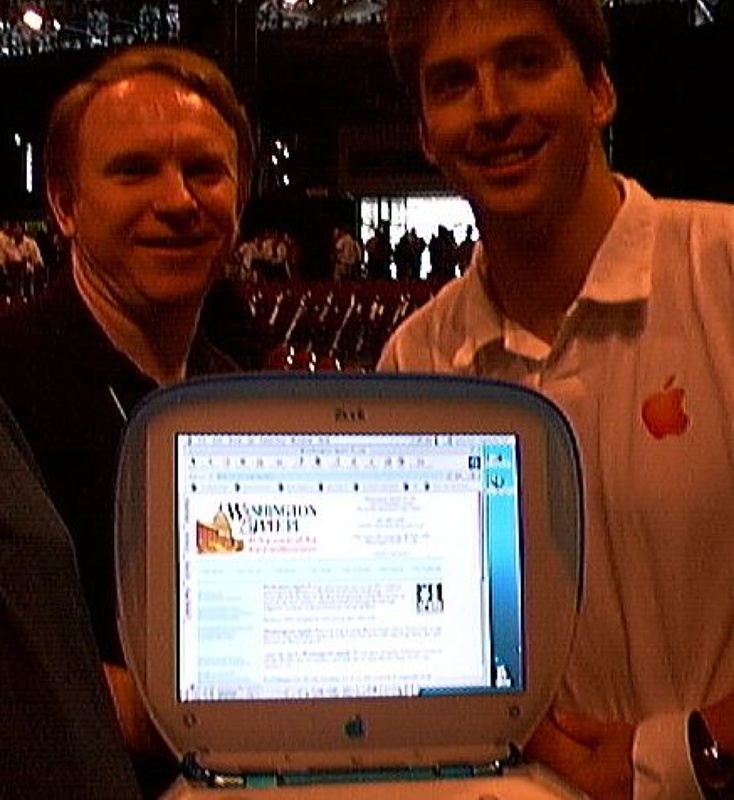 The NeXT computer did not turn out to be the next big thing, but it did lead in a curious way to Mac OS X. 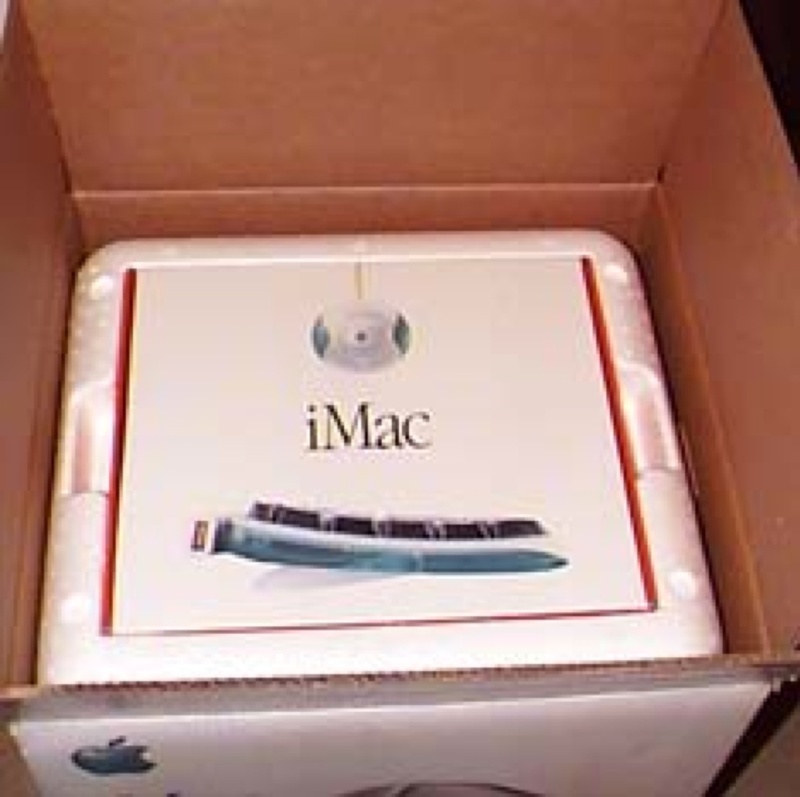 This NeXT box was offered for sale at a Washington Apple Pi garage sale. 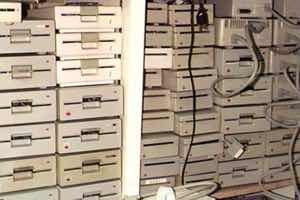 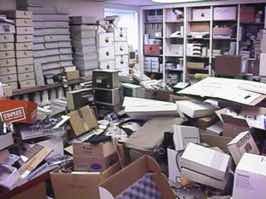 Everything in this room had, collectively, less power and less storage than any iPod sold today. 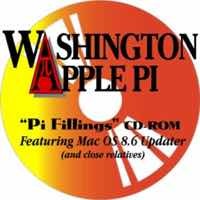 The Washington Apple Pi garage sales were part garage sale, part tutorial, part picnic and part church, at least the social parts of church. 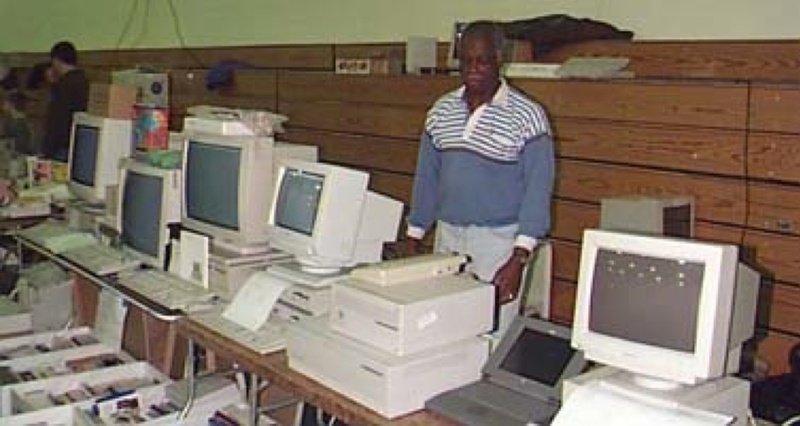 The astonishing thing about these computers is not their pristine looks, but they all worked. 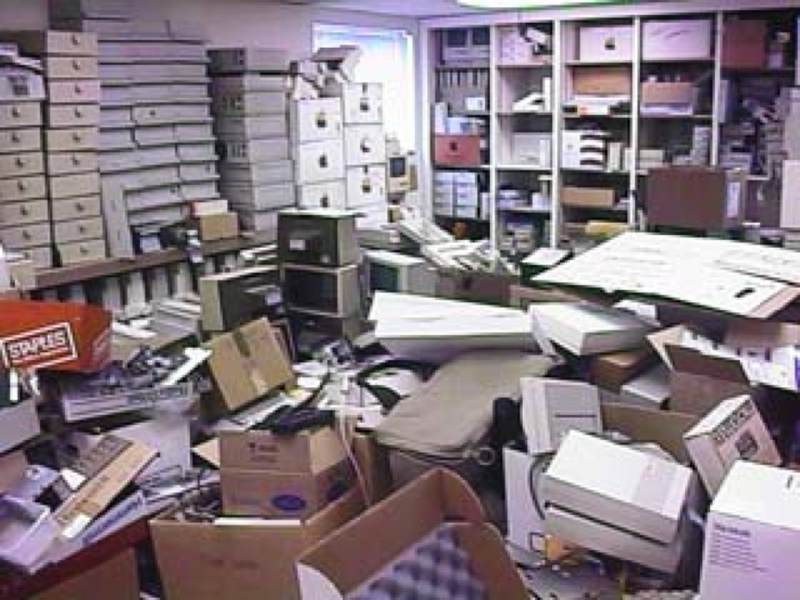 As Sherlock Holmes mysteries go, the Bondi Blue Case was different: it wasn't beige. 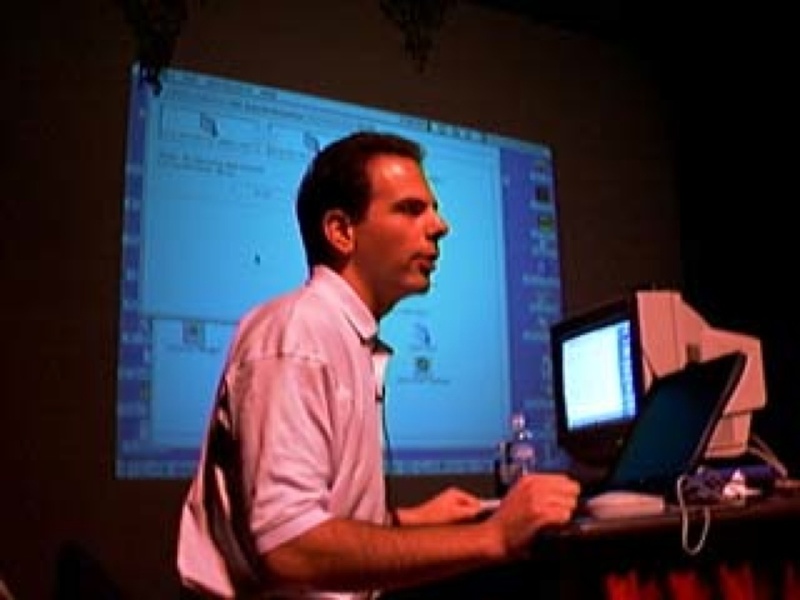 Apple's J.D. 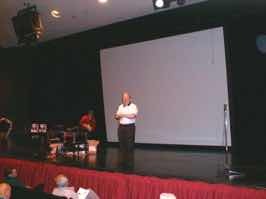 Mankovsky tries out his French-Canadian accent on a large crowd at a Washington Apple Pi general meeting. 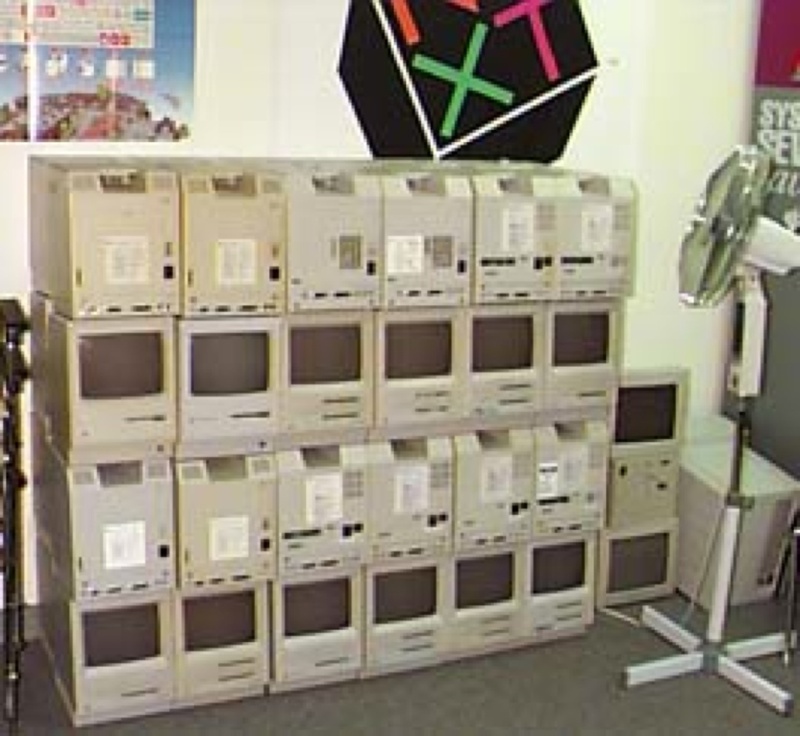 While it has been said that you could see the Pi's Great Wall of Macs from space, this is not true (due to the roof over the building). While an anxious owner waited, a highly experienced Pi surgeon replaces -- something -- on a Mac during a Pi garage sale. Unlike the solidly-made products produced by Apple, Inc., this apple vanished shortly after the photo was taken. 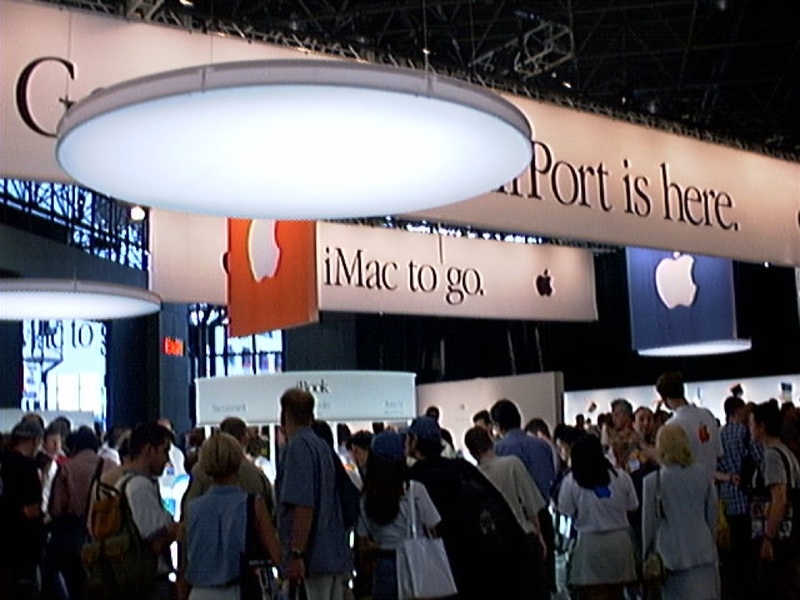 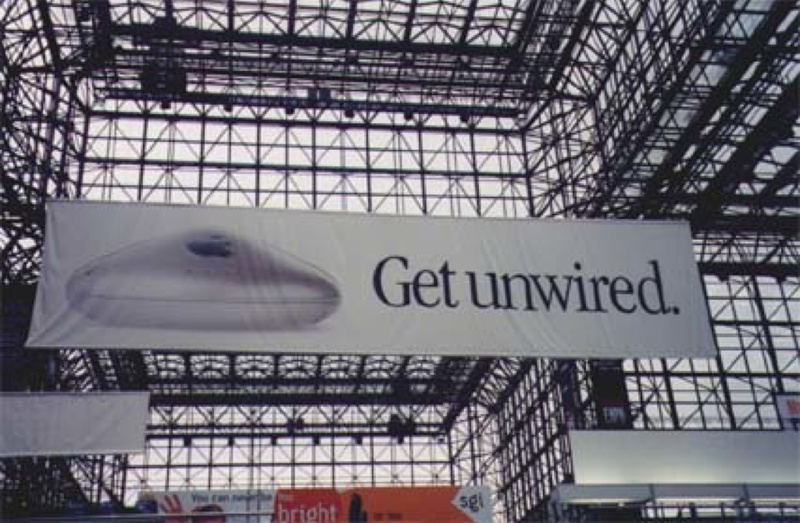 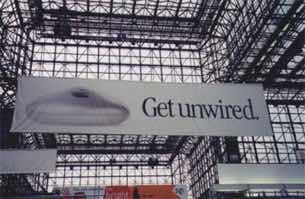 Manhattan's Jacob K. Javits Center hosted Macworld New York 1999, complete with giant posters of flying saucers. 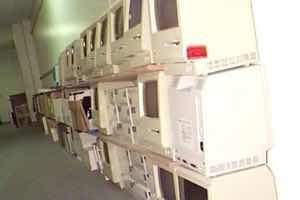 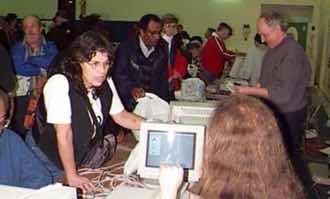 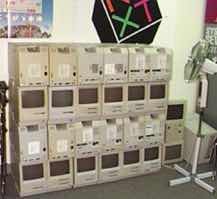 In the not so distant past, the computer world was beige. 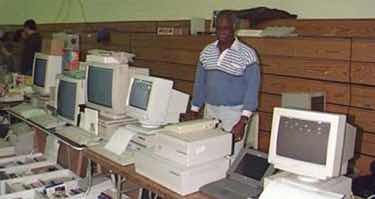 This is especially striking when you consider that the most colorful items in this photo are men's clothing. Introducing the iBook at Macworld New York, wirelessly displaying the Washington Apple Pi web site. When Apple introduced the AirPort, complete with the profile of a flying saucer, they installed flying saucer lights, too. 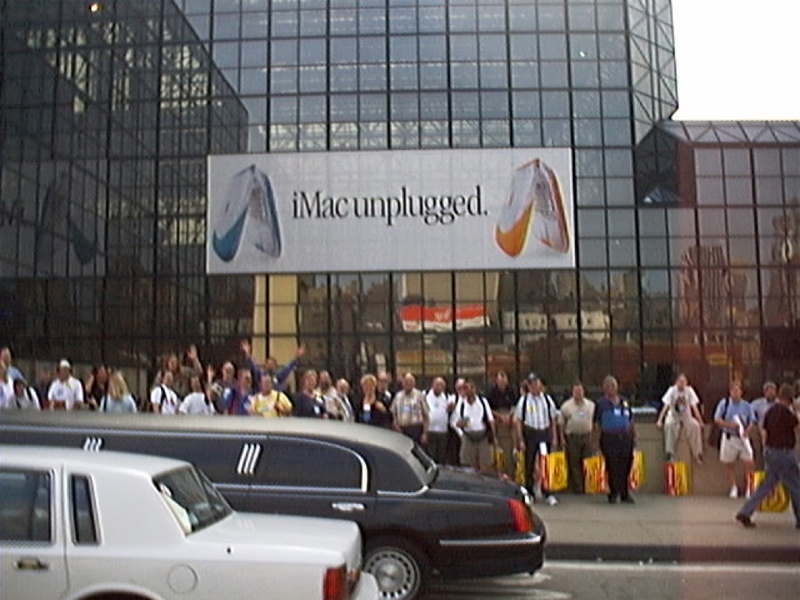 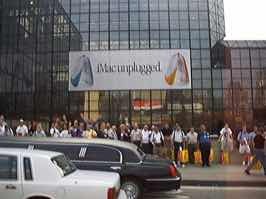 Long lines formed for the keynote presentation at Macworld New York in 1999..
Once upon a time, the world was black and white. 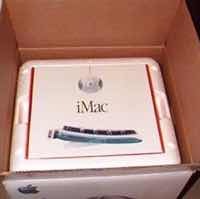 The first iMac came in a big box full of styrofoam and cardboard. Somewhere in there was a large blue iMac. 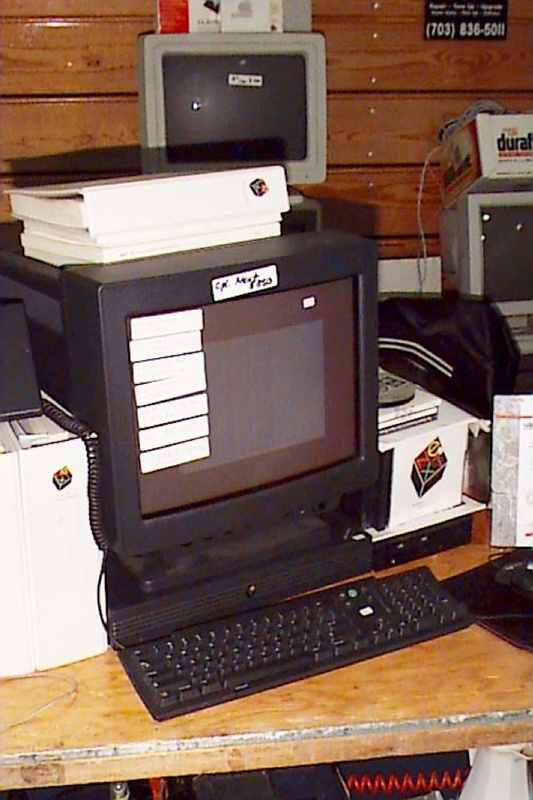 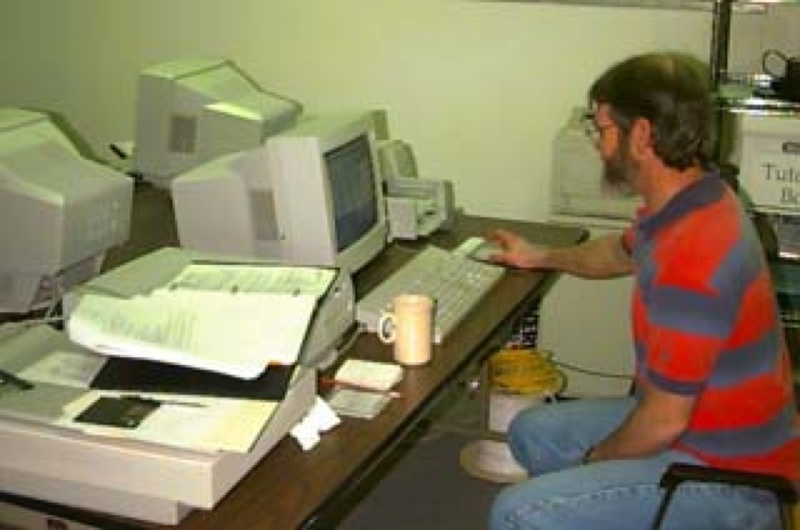 At various times, the Pi has published using mimeograph, xerography, offset press, cassette tapes, floppy disks, CD-ROMs, DVDs, PDFs, and large bundles of bits across the Internet. General meetings used to feature a large scrum of people waiting to get the latest Washington Apple Pi Journal. 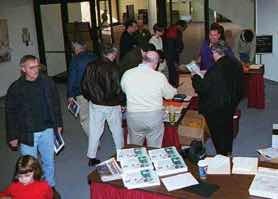 Today, members download the Journal from the Pi web site. 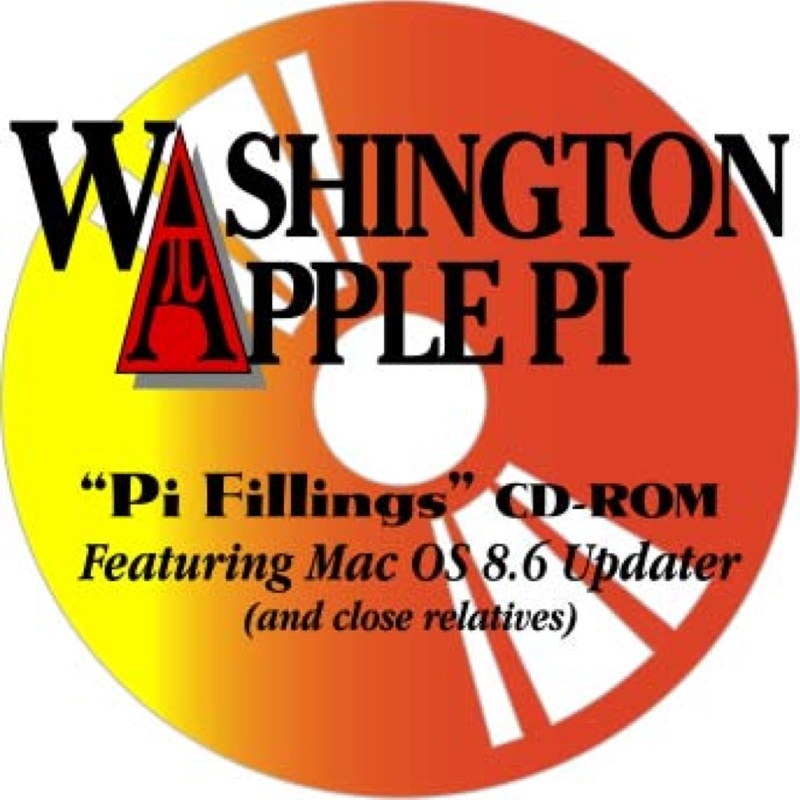 Over 35 years, Washington Apple Pi has answered roughly 35 million questions during Q&A sessions at various meetings and other venues. 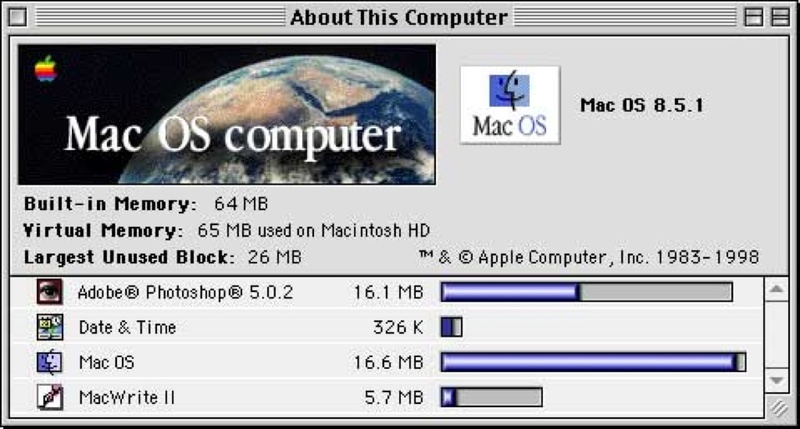 It has lots of controls and features and ways to tweak things, but at this point we're not even sure of the name of the program. 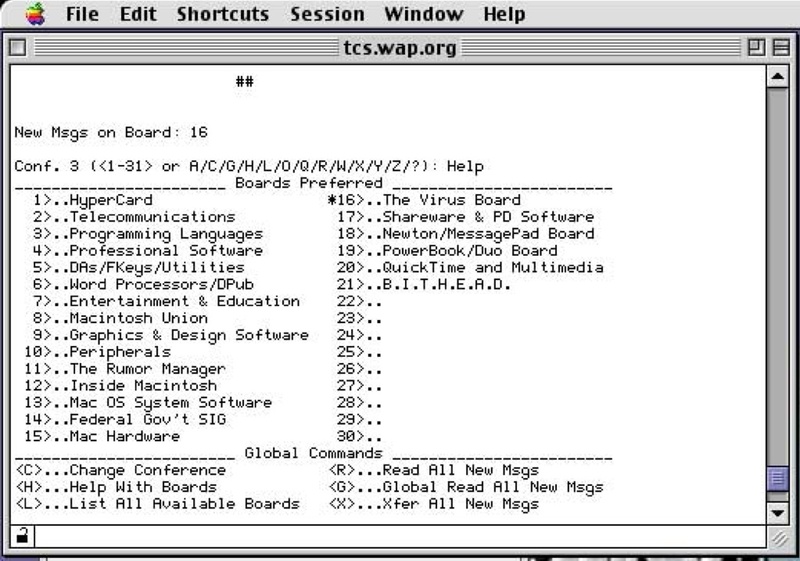 Once upon a time, a Pi meeting was all about the computer and sometimes programs you wrote on a computer. 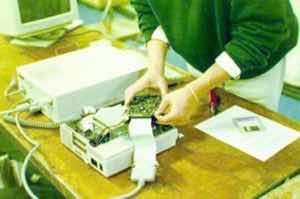 A few decades later, it was as much about what you could put into the computer -- sound and photographs from digital devices -- as the computer itself. 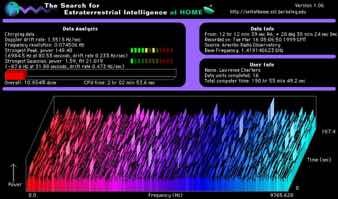 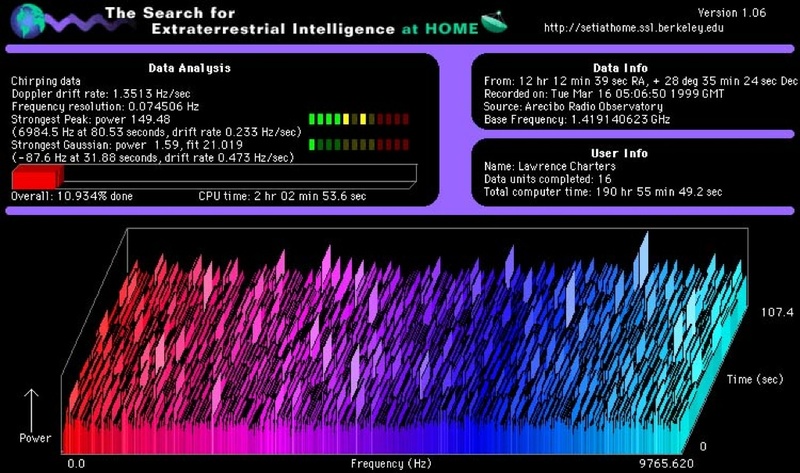 SETI (the Search for Extraterrestrial Intelligence) is the largest distributed computing effort ever attempted. Macintosh computers were early recruits into the effort; this image is from a screen saver that looked for aliens while the user was doing something else. 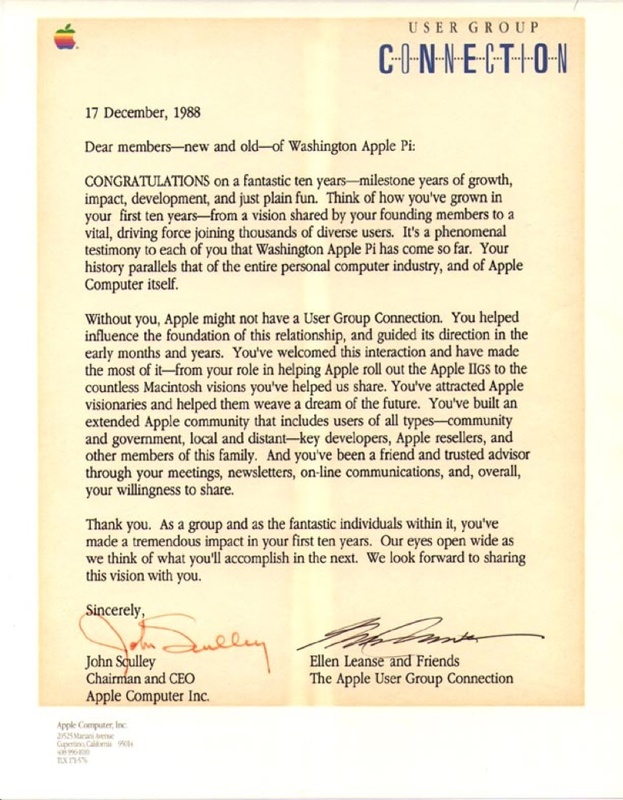 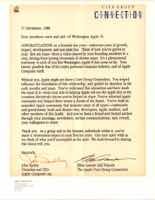 Back in the days when Apple had a multi-color logo, Apple chairman John Sculley sent Washington Apple Pi a letter congratulating us on our tenth year. 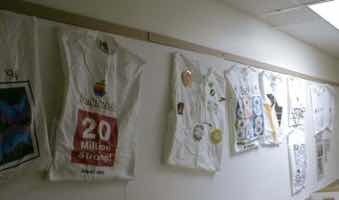 The modest cotton T-shirt is the foundation of the microcomputer revolution, allowing you to not only carry your heart on your sleeve but also a witty technological slogan on your back -- or front -- or both. 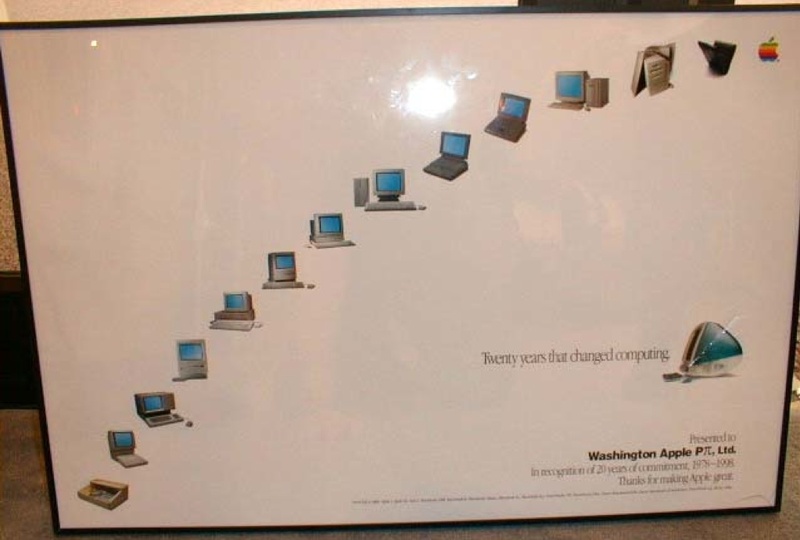 Apple Computer sent Washington Apple Pi a poster celebrating twenty years of the Pi with twenty years of Apple computers. 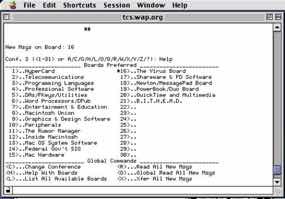 Before the World Wide Web took over the Internet, telecommunications looked like this: Washington Apple Pi's TCS bulletin board in the 1990s.